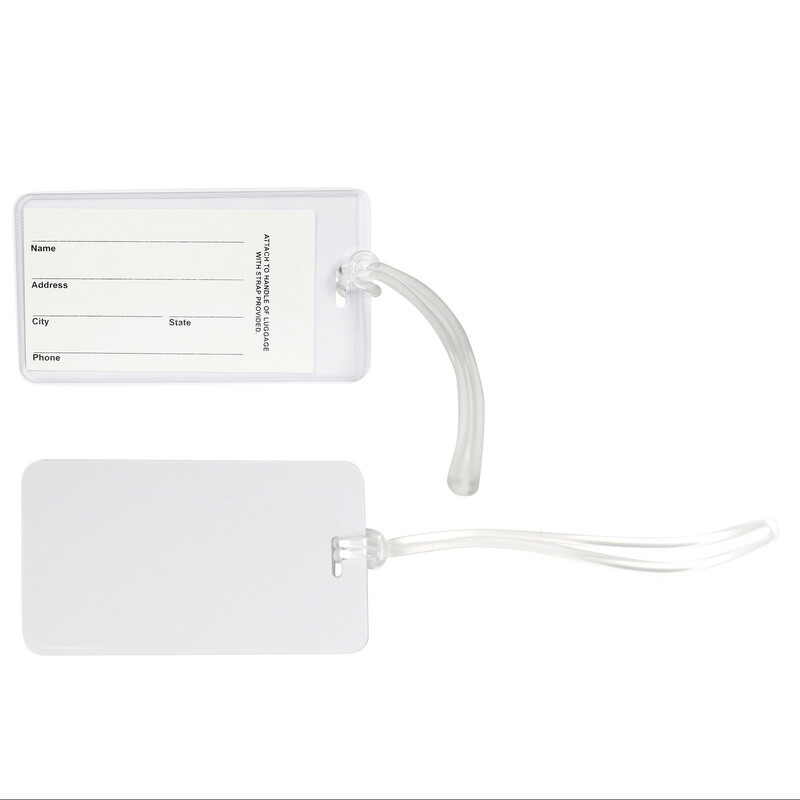 A simple but effective luggage tag, suitable for travel and leisure. 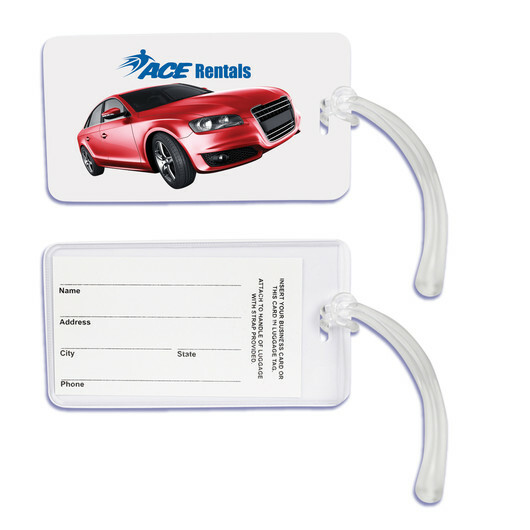 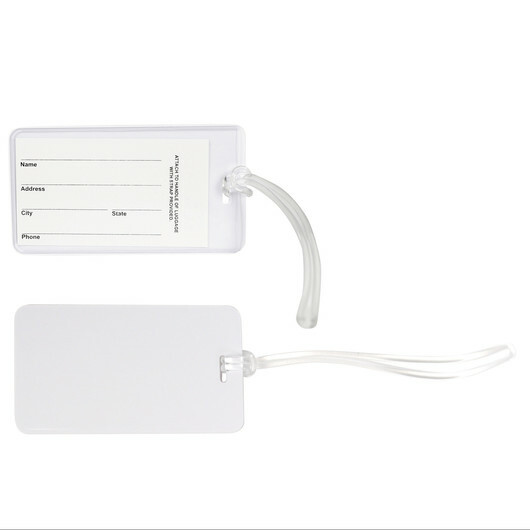 This white luggage tag is a budget friendly way to get your logo recognised and noticed. It has a clear PVC window, spaghetti loop strap, also has a PVC window on the back that holds contact details, insert (included).